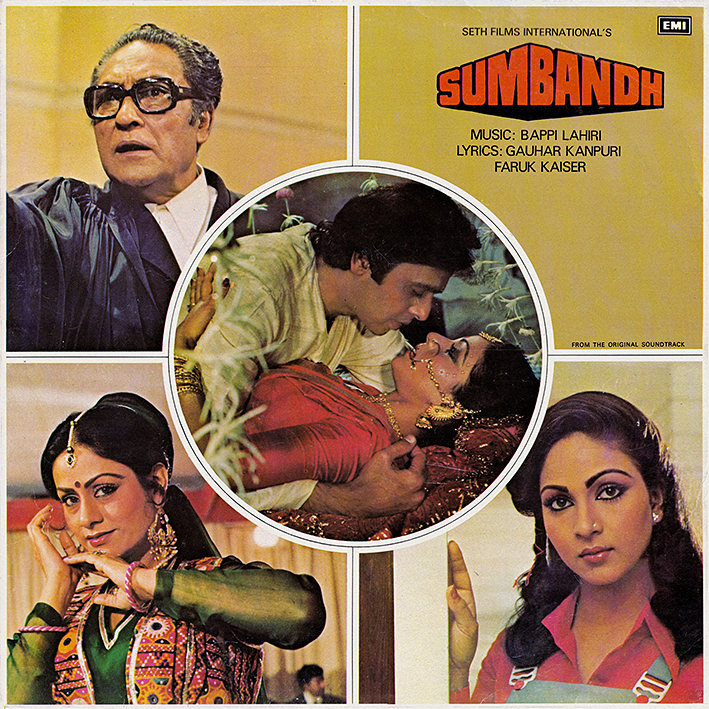 Bollywood beat heads were raving about 'Sumbandh' a few years back due to the two disco tracks that highlight it. Both are quintessential Bappi Lahiri and both are good, almost great even, if not among his very best. 'Pyar Chhalke' has a nice and laid-back lounge feel to it. Running at 8 minutes it includes loads of instrumental breaks, and Sharon Prabhakar's spoken English lyrics bring to mind the sublime 'Come Closer' from 1984's 'Kasam Paida Karnewale Ki'. 'Paas Ao Na' is slightly more uptempo with more of an electro thing going, but still surprisingly restrained (not as over-the-top as Bappi could often be). On it he borrows from 'Wild Thing' again; he'd done so before on 'College Girl' back in 1977.